It’s competition time! Clients of the Loch Leven Equine Practice are giving their clients the chance to feature in their inaugural 2015 Loch Leven Calendar to raise money for the Equine Grass Sickness Fund. Simply send your HIGH quality images to marketing@lochlevenequine.co.uk (please don’t post on facebook as it compresses your files). 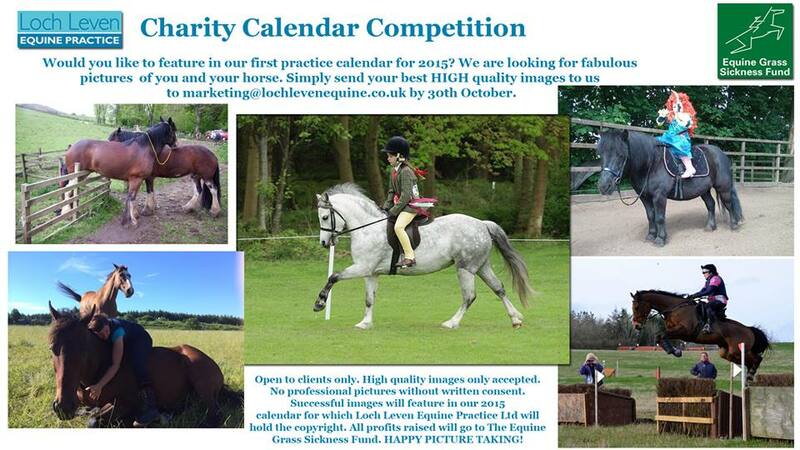 All those featured will then be entered into a prize draw to win some Loch Leven Equine Practice goodies. Sorry but we can’t accept low quality images, or those taken by a professional photographer unless you get written permission first. Entries close 30th October 2015. Happy snapping!